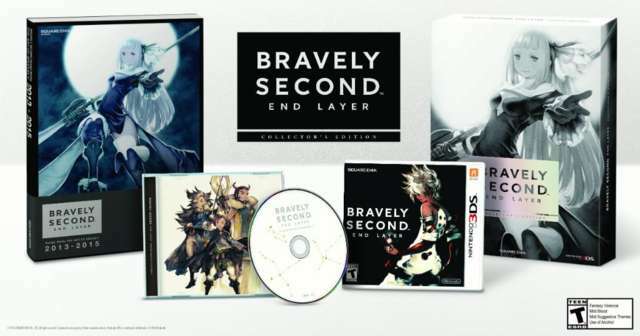 At a 3DS event today in San Francisco, Nintendo revealed the release date for Bravely Second: End Layer and outlined what will be included in the game’s collector’s edition in the US. While we knew the game was set to launch on February 26 in the EU, Nintendo has confirmed that Bravely Second will not come out until April 15, 2016 in the US. Square Enix published the sequel to Bravely Default last year in Japan, but Nintendo is once again handling publishing in the US and Europe. The collector’s edition for Bravely Second in the US will include the game, a 250-page art book, and a 10-song soundtrack. Unlike the EU version, the US version will not include an Agnes figure. In other 3DS RPG news, Nintendo also confirmed that Dragon Quest 7 will release sometime this summer in the US, however no further details were provided on the release date for Dragon Quest 8. The re-releases of both games were confirmed for the West in a Nintendo Direct presentation late last year.